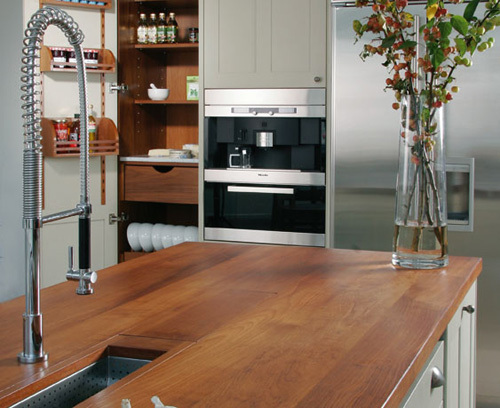 Having taken delivery of your soon-to-be prized wooden worktop, you’ll naturally want to keep it looking as perfect as possible. Wood is a versatile and stunning looking material and is easy to look after, once you know how to oil it and establish a pattern of maintenance. Painting the walls, getting new furniture, replacing flooring, and re-decorating are all ways to change up your home design. In this article, we will discuss how you can improve the look of your home with granite countertops. Slate countertops are an excellent choice for anyone’s kitchen. 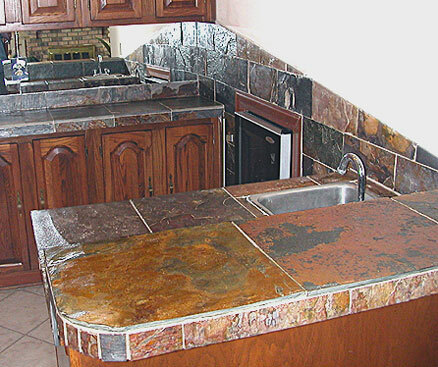 Slate counters are durable, stain resistant and will add value to your home. Slate has less maintenance than granite or marble; however it is just as durable and has just as much strength as its counterparts. 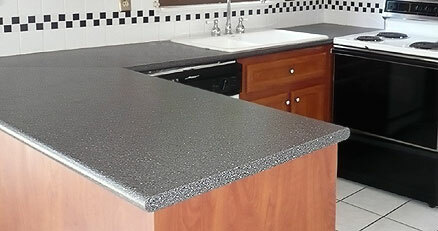 Stainless steel countertops are modern and can take a lot of heavy duty pounding. These units have a long-life as they are water-proof and also heat-proof. 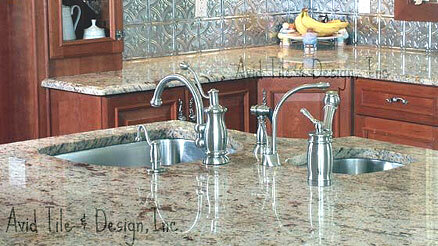 What also works in favor of stainless steel counters is that they don’t fade, rust, or chip. Wood countertops are growing in popularity because wood offers a feeling of warmth and coziness to the atmosphere in the room. There are wood countertops made to be a true work surfaces like butcher blocks and those that are meant for lighter duty. Solid surface countertops, like DuPont’s Corian brand, are the ideal choice for those who want to personalize the color and shape of their countertops. With a solid surface it is possible to have the countertop, sink and backsplash in one piece, so the unit looks attractive and also easy to clean. Glass is not often thought of as a material for countertops, yet glass is an ideal material for modern kitchen countertops. 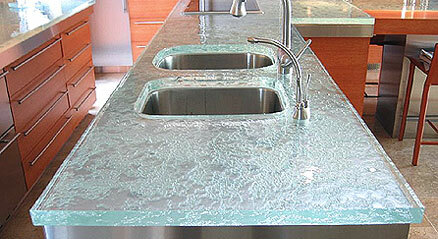 Also, in keeping with the eco-friendly trend, recycled glass countertops are becoming very popular these days. 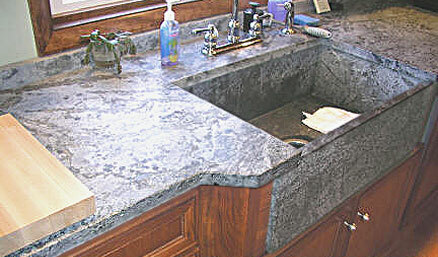 Soapstone looks naturally beautiful and therefore it is a preferred material for countertops. Soapstone, as the name suggests, feels smooth and waxy to touch, just like touching dry soap. 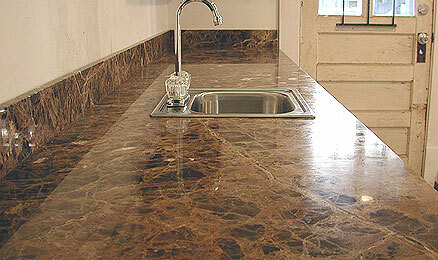 Nevertheless, it is very durable and ideal for countertops. Marble countertops make your kitchen look beautiful and luxurious. Marble will add world-class value to your kitchen and give your home a great re-sale value. Being a natural stone, marble is durable. Although it is highly priced, it can serve you for a lifetime if properly maintained. Whether you want the look of natural stone or you marvel the sheen of manmade materials, tile countertops provide you with both options. As the name suggests, tile countertops are actually made from smaller square tiles of various materials, and not large continuous slabs. 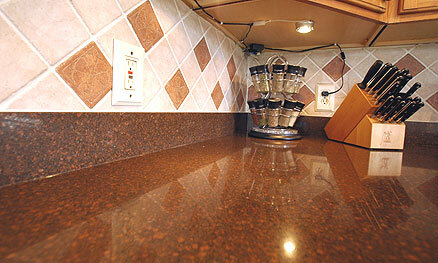 Quartz countertops have surfaces that are hard and resist wear and tear. Quartz is a one of the most highly rated and preferred material in the market as it exudes quality and richness. 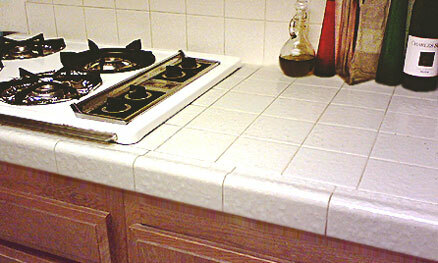 Quartz countertops resist staining, scratching and high temperatures. 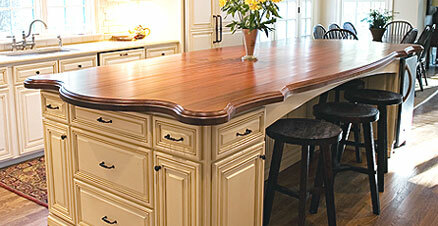 Laminate countertops are the most preferred kitchen countertops as they are beautiful and affordable. Due to the versatility of laminate, laminate countertops are available in various designs and finishes. Laminate can resemble ceramic, stone or hardwood. Concrete is versatile and can be customized according to your needs and desires. 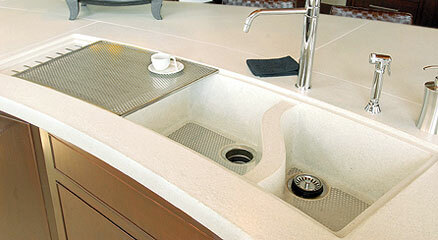 It is possible to have V shape, L shape or various other shapes of concrete countertops. Being durable and strong, concrete countertops can serve you for decades if you maintain them well. Granite is a natural stone and can bring the vibrancy and energy of nature into your kitchen when carefully carved into countertops. Granite countertops withstand high temperatures and moisture, and do not get stained, making them ideal for rugged kitchen tasks. 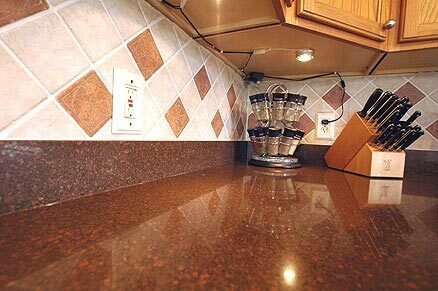 Kitchen countertops buying tips. 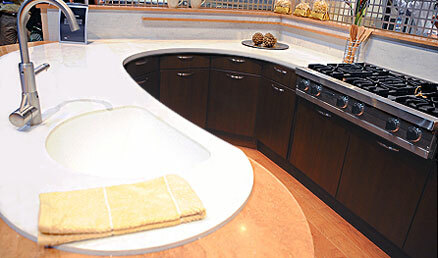 Learn about granite, quartz, marble, solid surface, laminate, wood, ceramic tile and other popular countertop materials. Learn what type of countertops are the most functional and aesthetically pleasing.